The Newcastle defender revealed he would miss Tuesday's European Qualifier against Denmark, after suffering a clash of heads with Georgia's Jemal Tabidze on Saturday. 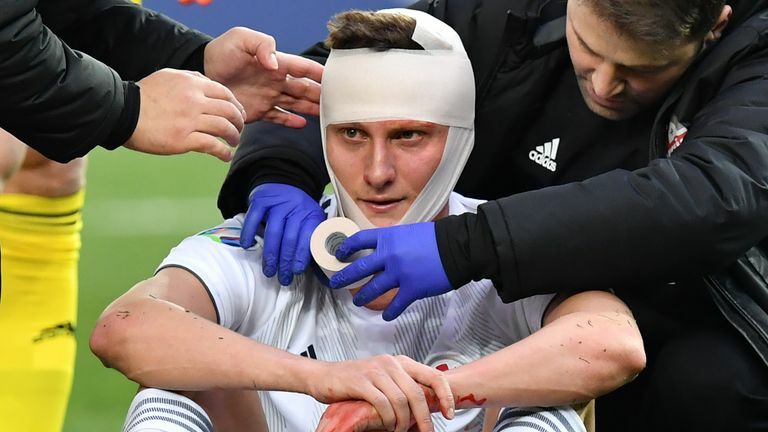 Schar was left unconscious by the incident and Georgia's Jano Ananidze reacted quickly to prevent the 27-year-old's tongue from blocking his airway. The player then received around five minutes of medical treatment before he completed the entirety of the game, leading to concerns over player welfare. "I really wanted to play and, as always, give everything to the team and Switzerland," Schar said on the national team's official website. "Returning to the sport after such a collision takes some time, and it usually takes a few days for a player to progressively make an effort, a time that is missing between the two games against Georgia and Denmark," said Meli. Brain injury charity Headway called for a UEFA investigation after Schar was allowed to play on. 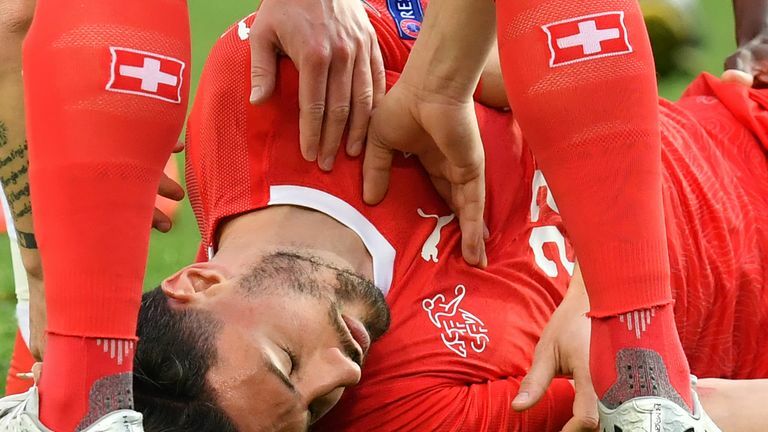 The statement said: "The charity has demanded UEFA launches an investigation into the circumstances that resulted in Swiss player Fabian Schar being cleared to continue playing in a match against Georgia - just minutes after being knocked unconscious and needing emergency help from a member of the opposition." "As you probably know, tomorrow I will not be allowed to play against Denmark," Schar wrote on Instagram. "I really wanted to play and, as always, give everything to the team and Switzerland, but unfortunately this time the decision is not in my hands, but was imposed on me by FIFA for health reasons. "In the game against Georgia I was unconscious for a short time after a collision. "Anyone who knows me knows how I feel and how much I would like to play. Of course I keep my fingers crossed for the team and I'm convinced that we will have a good game." Sky Sports News understands Schar was monitored at half-time and again at full-time before the team boarded the plane home. Schar will watch the game against Denmark from the stands despite Newcastle wanting him to return to England ahead of their league game against Arsenal on Monday, live on Sky Sports - a game he is suspended for.